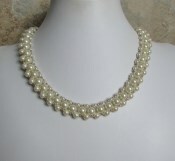 Surround your neckline with elegance! Dozens of smooth, ivory colored glass pearls are used to create this 1950s inspired jewel. They are carefully strung on double reinforced nylon cording. Although this intricate necklace appears to be made up of three strands of beads, it is actually formed by weaving two strands together. 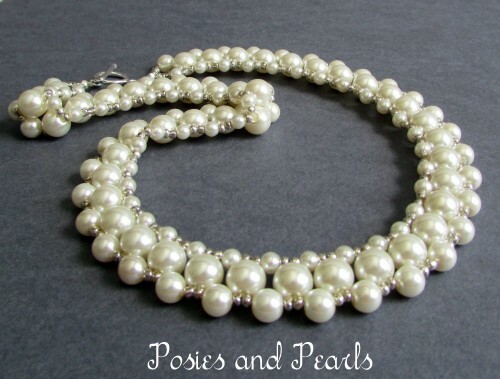 The combination of 4mm, 6mm and 8mm glass pearls adds dimension and allows this necklace to gently curve so that it forms a perfect collar. Tiny silver colored seed beads are placed between each bead to add a hint of shine to the piece. Sterling silver end pieces and a circular toggle clasp complete the necklace with polish. Ask me about a coordinating bracelet. Custom requests are always welcome! CUSTOM REQUESTS: This necklace can also be made in a variety of colors or types of beads such as crystals or gemstones. It can also be made with 14k Yellow Gold Plated or 14k Gold-Filled metal. 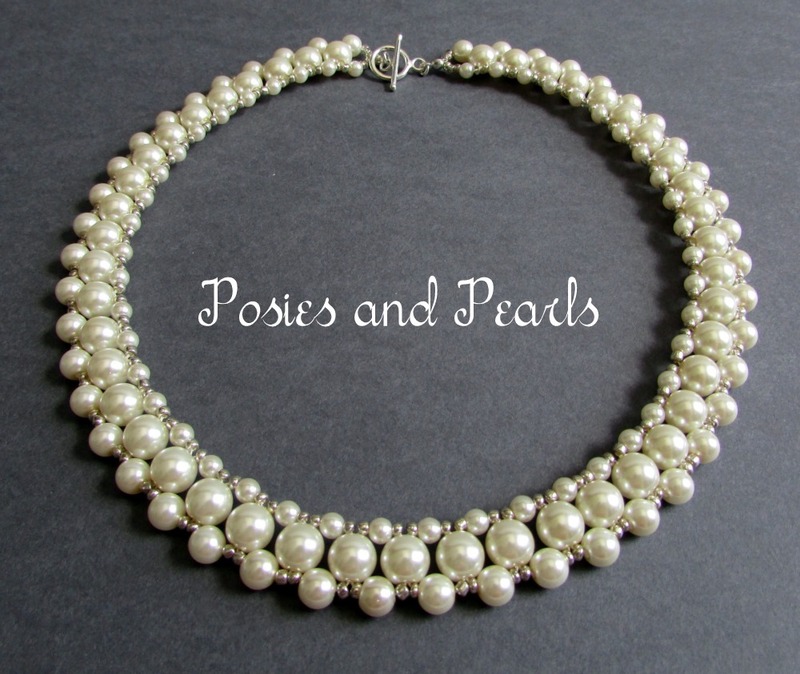 It would be a lovely gift for your bridal party attendants! Contact me to discuss a custom order.